Both boxes contain 200mg ibuprofen. At Boots.co.uk, accessed on 20/06/2011, a pack of 16 Anadin Ibuprofen cost £1.62 (normal price £2.03). 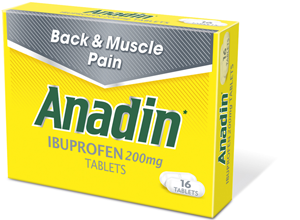 Anadin Joint Pain (also 16 tablets) costs £2.50 (no special offer available). A 54% increase on the current special offer price, or a 23% increase on the normal price. 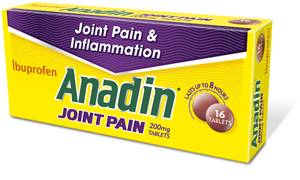 "Anadin Joint Pain is the same as Anadin Ibuprofen tablets but has been packaged, like the rest of the Anadin range, to help consumers navigate through the huge choice available and pick an appropriate product." I think this is shameful. A company simply packaging something slightly differently, making out it is for a specific purpose in order to increase the price.